Originally I was booked to fly a British Airways 787 in first class to New Delhi after enjoying their A380 service to London from San Francisco. But the attraction of fewer points and many fewer dollars got me to change. Trading BA first on an A380 for first class on JAL was not a hard decision, but giving up the 787 in first for a repeat on JAL business class was difficult at best. While I like to try new carriers and aircraft, being frugal won the day, plus my recent JAL 787-8 flight from Dallas to Narita was good, even considering I'm not a huge fan of the APEX seats for sleeping. Plus Tokyo to New Delhi was a day flight, meaning eat and watch movies, so the question I pondered was if this flight would be up to the task. The short answer is, well not quite. But first, a pitch for Hilton. 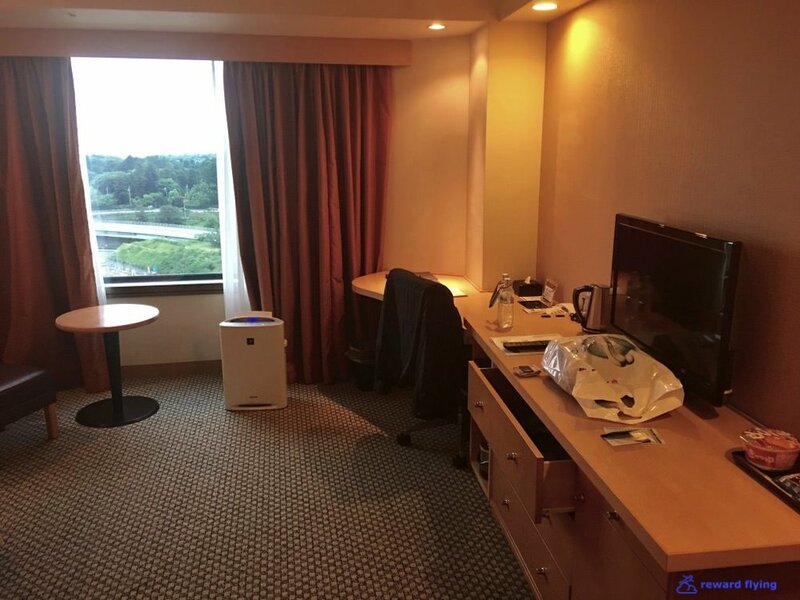 There are numerous hotel options around Narita. The Hilton is a great choice. For about $125USD or 20,000 Hilton points you get a night with a decent size room, comfy bed, spa with sauna and nice restaurant serving a full breakfast buffet that I've enjoyed at no charge every time I've stayed there, with and without Hilton status. A bonus is nice views of Narita activity. Morning rain spoiled the plan for a quick trip to downtown Narita, so it was off to the airport. Little did I know the 20 yard walk from the bus to the terminal entrance would be my last breathe of fresh air before arriving home in Chicago. Bored, and again denied a visit to the observation deck, I headed to the gate. Along the way, if so inclined, you could have a massage and view the tarmac. And from the upper level you'd be staring down at my 787-8 to New Delhi, getting prepped in the rain. I guess I'm lucky. Every time I've transited Tokyo it's raining. But the times I've stayed in Tokyo it was nice. Boarding was orderly, except for a gentleman who insisted he board first. Whatever, we all get there at the same time. Turns out he was sitting in the pod next to me. I moved, just in case. Pushback was on time. Not much happening air traffic wise, except this 757 heading to Uzbekistan, most likely Tashkent. Up next for departure it wasn't long before we were on our way. It occurred to me that this flight path to India would have two opportunities to view famous mountains, Mt. Fuji and Mt. Everest, with the former on the left side and Everest on the right. I was sitting in 3A. Here is my view of Mt. Fuji. Only for it to clear up shortly thereafter offering a view of the Yamaguchi area. Back to the plane. The JAL 787-8 has two business class cabins. Each have 3 rows of window seats and the back cabin has an extra row of center seats. An annoying thing with JAL (and growing with other carriers) is they block numerous seats for airport assignment upon check-in. Beyond that most front cabins seats are blocked for pre-assignment. Take 1A for example. It's not blocked but you can't assign it yourself on JAL.com or even if you call to request. These other unassignable seats must be reserved for JAL premium members. Also I would ignore the yellow markings on these seats as traffic is minimal. 7G might be problematic but the others are most likely fine. This is the front cabin. In my opinion it is the preferred cabin as well. Very little traffic. 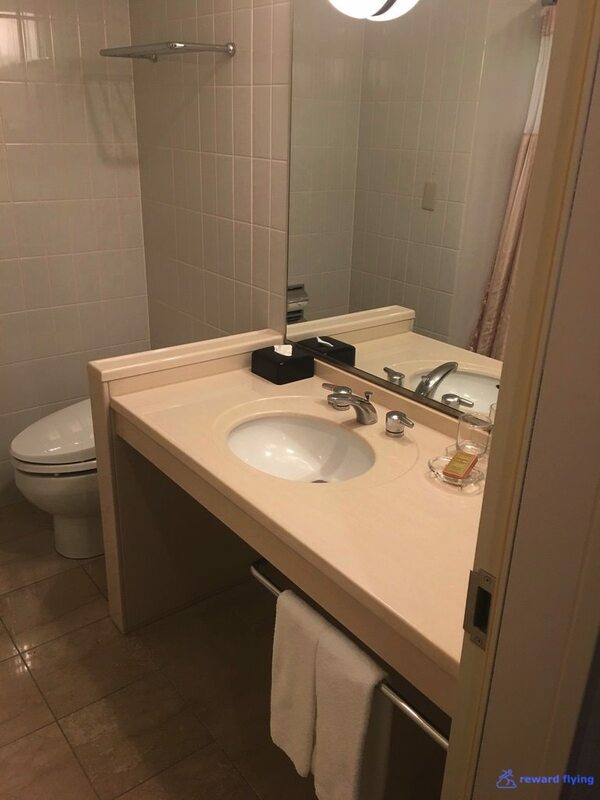 Just be sure you ask for it at check-in. Unless the flight is full you probably have a good shot at getting seated up front. It's also quieter. This is the back cabin and less desirable simply because most business class passengers were forced to select seats in this cabin. Plus there's more engine noise. My prior flight on this aircraft had me sitting in 1K. My comments at the time were the seat was a little claustrophobic, especially when trying to sleep. On this flight I was originally in 9A, got 1A at the airport and asked to be moved to 3A when Mr. Neighbor became full of himself at the gate. Sitting in 3A I noticed something that may affect the width and room in seats 1A/K. The curvature of the aircraft. This photo looking down the "A" seats also shows the curvature. While 3A is a nice seat it only has one window which you can see if you look closely in this photo. Conclusion: Best window seats: 2A/K. For that matter Row 2 any seat. Another issue for Row 1 is center bin storage. It's interesting that they make the crew rest area look like storage bins but they don't open. Is this done to piss people off? The self serve bar at door 2 was being used today, marginally. And the lavs, not much other than a mini-shower. A couple photos of the seat and surrounding area. As presented upon arrival. One still must be impressed by the monitor (and probably the reason I changed to this flight not being a fan of the seat, well that and 10K points plus $500 British Airways surcharges). But there is no storage within reach unless you sit in an aisle seat and get this cubby hole. I did notice that these pods are not wearing well. Observe the wood laminate finish in the photo above as well around the seat controls below. This aircraft was delivered in January 2015 making it just over 2 years old. Not a good sign. But if you keep an open mind you can always find something new. Headphone hook. Missed it last time. If interested the manual for JAL's APEX Business Class seat. 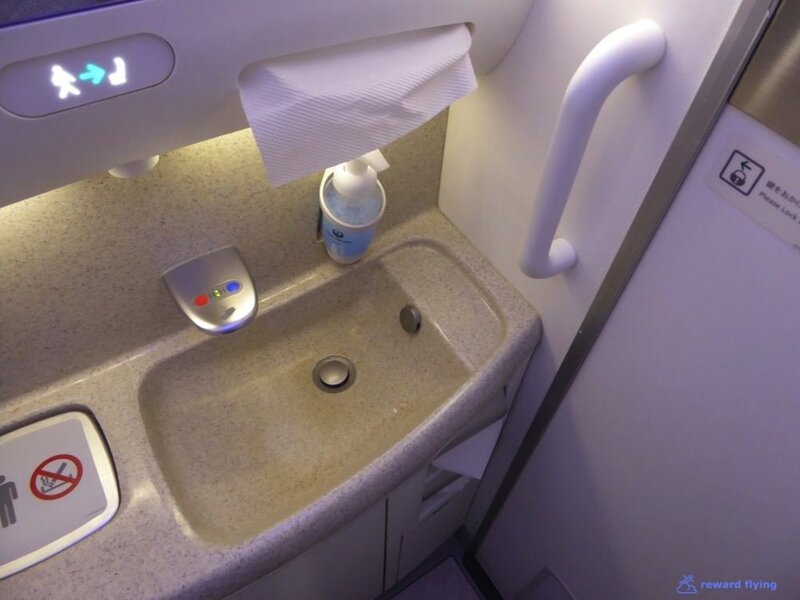 Amenity-wise was pretty much shown in the photo of seat 1A. But in case you missed it, which is entirely possible when there isn't much to see, I offer a clearer view except for the small blanket stuffed under the ottoman. The highlight of JAL from Dallas to Narita last year was the food. For comparison purposes I offer the amuse on that flight versus today's flight to India. Beverage selections were pretty good, included the standard of the airline business class champagnes, Charles Heidsieck Brut. Like an old dog I stuck to what I know and honestly I don't remember if it was good. But sitting on the left side as you can see it was much easier for the flight attendant to maneuver inside the pod to pour the wine. Justifying my theory stated on the JAL11 DWF-NRT report that when sitting in seat K a left handed flight attendant was needed. But I digress. Beef or beef. I chose Japanese beef. First the bento box was presented. Jellyfish and mushrooms, interesting and very good. And finally Flounder with Yam and Tomato. If nothing else, very creative. All were excellent. While the picture on the menu suggests you are getting Kobe beef, the dish when presented says otherwise. Which is not to take away the fact it was very good. And surprise, beef on a plane not cooked to oblivion. Miso soup and Japanese pickles finished off the main meal. Next was Kanmi, dessert I guess. Kudzu Starch Cake Black Sesame Flavor. I was instructed to put the "sweets on top." Service was reasonably paced. Now it was time for a nap and some movies. No mattress pads were available. Just this rather small pillow and a light blanket. Flying parallel south of the Himalayan Mountains, Everest was approaching. What do you think the odds were of seeing it from this view at 40,000 feet? Good guess. As close as I'd come. Prior to arrival a lighter dish was served. Lasagne on a flight from Tokyo to India? I stayed with Japanese. The dish was as sparse as the menu. The flounder is hiding, can you spot it? Sensing the possibility that this meal wasn't satisfying after not eating for about 6 hours, my flight attendant offered me a choice of noodles; Champon, Udon, Soba. We descended into the New Delhi area. Of note was the airshow and the top screen ticker. If it's 89 degrees up here at 4,000 feet, what's it like down there? A number of interesting photos on the descent. One would think it'd be a good day for a swim. ✔︎Poor. Slippers and a toothbrush. ✔︎Prior to arrival meal was a let down and the portions were small overall. ✔︎Good crew. Very attentive, spoke good english. ✔︎It's a 787, what's not to love! This flight was fine. JAL continues to impress with the food. The monitor is great for watching movies and such. The seat is comfortable to sit in. While I'm not a huge fan of the APEX seat you can't argue that they are the most private business class seats in the sky at this point, with Qatar and Delta maybe having something to say about that feature in the near future. I wouldn't hesitate to fly a JAL anytime as they have become one of my favorite airlines. And there is something else about this flight. It happens to be the #1 bargain of any premium class flight available. You can book this flight, that has availability seemingly everyday, for only 25,000 Alaska Mileage Plan points. That is correct, 25K points for a 9 hour business class flight. Wow. If starting or ending from the United States the trip via Tokyo is 70,000 points. That means this flight is only 0 points! Also with Alaska's stopover policy you can spend some time in Tokyo before heading to your final destination. 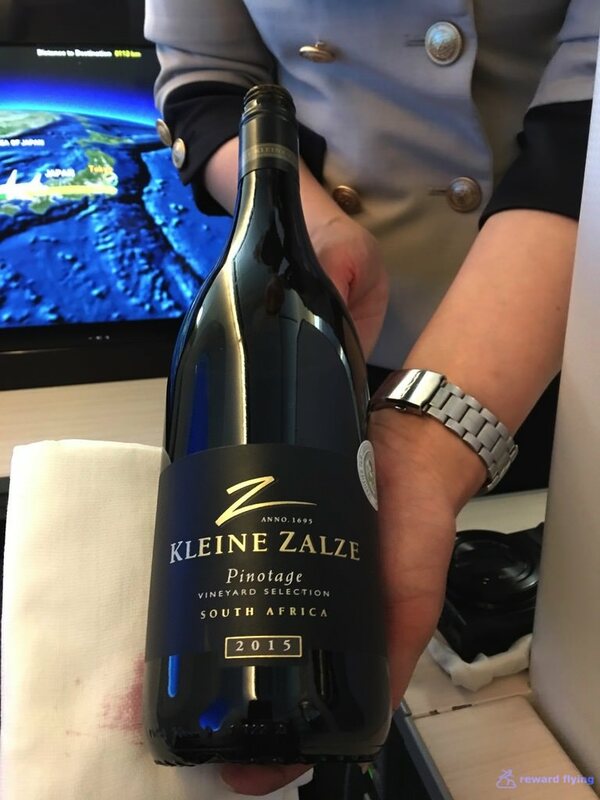 Reward Flying has reviewed the JAL Sky Suite twice as well as the Shell Flat Neo, so reviewing the Sky Suite III was anticipated. It's all Delta's fault. 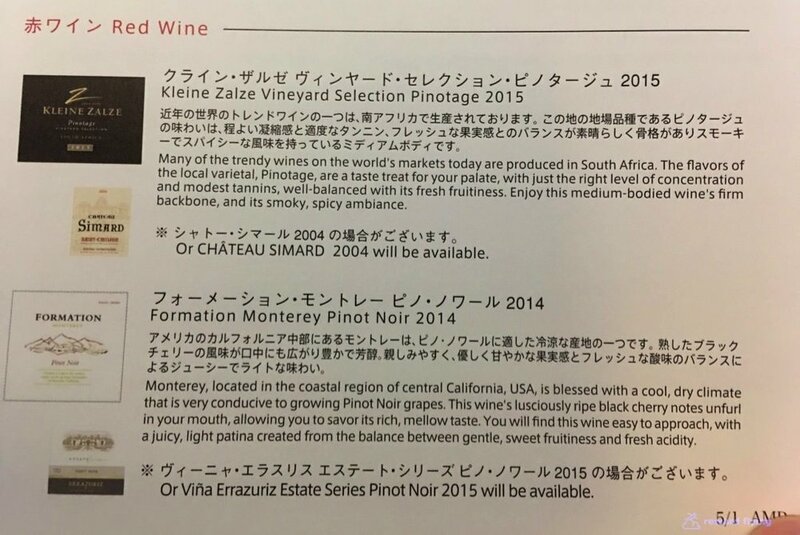 So thanks Delta for a reason to fly Japan Airlines first class again. Tokyo to New Delhi was a day flight, meaning eat and watch movies, so the question I pondered was if this flight would be up to the task. What more can be said? The worst part of this flight was arriving. 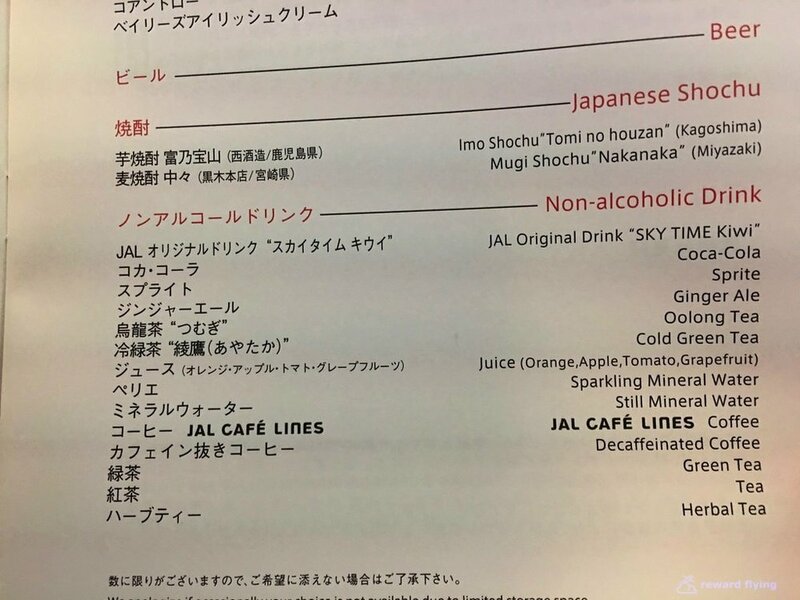 A highlight of connecting through Narita on a Japan Airlines flight in premium class is being able to visit the Sakura Lounge. Fortunately my stomach chose to be hungry this day. It picked the right day to do that. So a few hours after this incredible meal I decided to have another look. 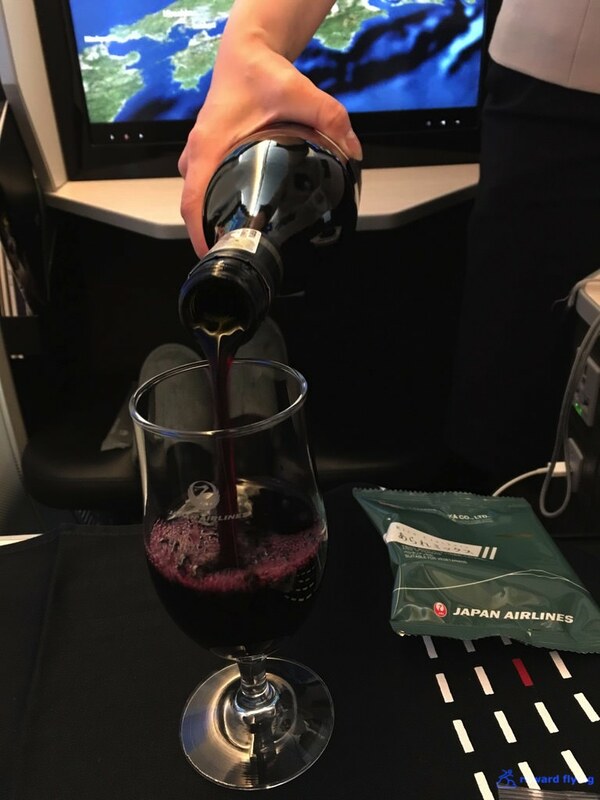 Do you have any Japan Airlines experiences you'd like to share? Feel free to leave a comment.